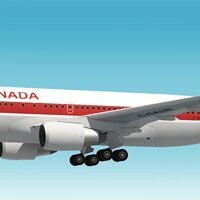 I watch about this infamous "Gimli Glider" many times in Nat Geo channel Air Crash Investigations episode. Many says it's the miracle landing before Sully, which also safe landed. The Air Canada case in my opinion is pretty similar with Sully's case, both lost both engines and both glide down and landed safely, one on Gimli Airstrip and one on Hudson river, but Air Canada flight 143 started on much higher altitude (41,000 feet) which give the crew more time to think. The key part is the sideslip manuver by pilot Captain Pearson, to slow down the plane before landing. The papermodel is in 1:100 scale. 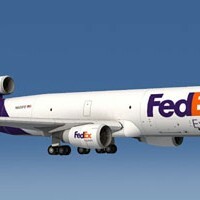 Fedex Express started using MD-11 as their freighter plane since 1990. Fedex was one of ten companies that were order the first batch of MD-11s. Fedex maintain to be the major user of this cargo plane until now, it owns 57 planes from 123 planes total of all MD-11 in the world. All 123 MD-11s are all freighter planes. This MD-11 papermodel recolor template was submitted by Mihir Patel. He is on his 3rd year studying Electrical Engineering in a University in Ahmedabad, India. The papercraft template consist of 10 pages, when it built it will have 51 cm or 19.7 inches length wingspan. The scale is 1:100. First of all, I wish you a good and happy new year, may this year 2017 will bring better life, goodness and peace. This year is by the way the 9th year for Paper Replika. I start this year by releasing Airbus A380 with this beautiful new livery, which is Thai Airways to add to the A380 Paper Replika collection. I go back to the original scale, the scale that the A380 papercraft was first released which is 1:155 scale, because it's easier to build in bigger size. The wingspan will be 50 cm in length. 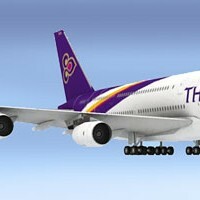 This Thailand airliner has 6 of A380-800 planes in the fleet and was first operational in summer 2012. © 2019 paper-replika.com - All rights reserved.